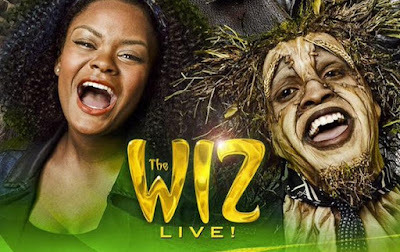 In case you don’t know, NBC’s The Wiz Live! makes its nationally televised debut tonight at 8:00 pm, much to my (and loads of other people’s) delight. If you’re a fan of the 1978 film version directed by Sidney Lumet and starring Diana Ross, Michael Jackson, Lena Horne, Nipsey Russell, Mabel King and a host of other Black entertainment notables, then this a big deal. Furthermore, if you’re a fan Stephanie Mills’s soul-stirring version of Home from the 1975 Broadway version of The Wiz, and saw the clip of her rehearsing with newcomer Shanice Williams (the new Dorothy), then you’re really stoked for tonight, no doubt. This is all cause for an exciting night at home, snacks and wine on deck, right? Right? Well, not according to Whiteness… which works to piss on the proverbial parade of any person, place, or thing that poses a threat to its power and/or privilege; and anti-Black sentiment extends to the world of entertainment and theater—whether racists are having a collective hissy-fit over actress Amandla Stenberg being cast as Rue in the first installment of The Hunger Games, lobbing ugly racial hate at singer FKA Twigs for being engaged to Twilight actor Robert Pattinson, or threatening to boycott the new Star Wars movie for its inclusion of a Black Storm Trooper—anti-Blackness isn’t exclusively perpetrated by old-timers from the American South, the GOP, and Donald Trump supporters; liberals, millennials, and Gen Xers alike are just as hateful… despite some of these same offenders liberally vulturizing Black culture and vernacular, but I digress. 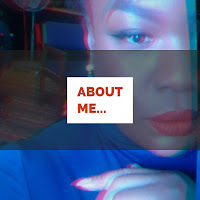 heard of the 1975 Broadway production of The Wiz or watched the 1978 film adaptation, but who felt equipped enough to complain about what they perceive to be ‘reverse-racism’ because, Yemaya forbid, if everything isn’t centered on Whiteness. Notwithstanding the fact that the 1939 musical-film fantasy The Wizard of Oz, starring Judy Garland as Dorothy, was an all-white affair.